The first home Pee Wee Basketball games were played November 10 against Sacred Heart. Each school won three out of six games. Our 4th Grade Boys and both the 6th Grade squads earned victories. 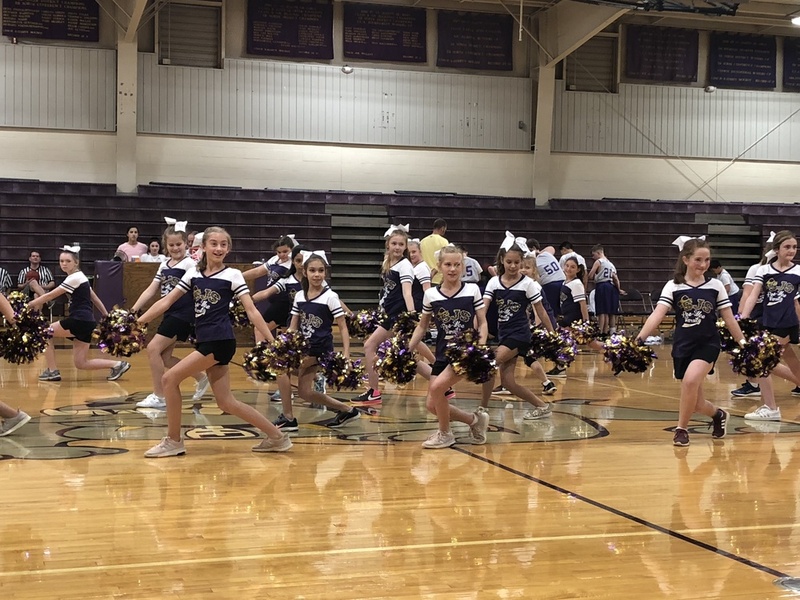 Equally impressive were the Pee Wee Cheerleaders who turned out in record numbers and performed excellently.